UNITED NATIONS, December 28 -- With the UN under fire on at least three continents in Cote d'Ivoire, Sudan, Haiti and Sri Lanka, Ban Ki-moon's spokesman's office appears to have taken a vacation. On December 26 and 27, Inner City Press submitted questions about mercenaries and communications in Cote d'Ivoire, promised UN visits to Sri Lanka, and the killing of civilians in Darfur. 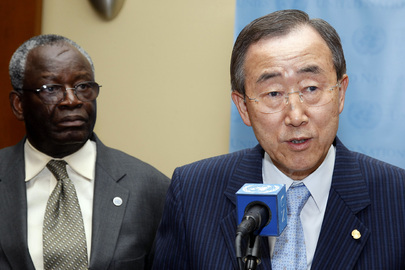 Did that mean there is no support for example for the UN Mission in Ivory Coast, or that no questions could be answered? Inner City Press re-submitted questions on the evening of December 27, for a deadline of 12:30 pm on December 28. Haq had already announced that UN noon press briefings would be canceled, allegedly because UN correspondents this week wanted less access to information. But Haq said that Ban's main spokesman Martin Nesirky would be back and answering questions. What does the UN / ONUCI know about, and what has it does about, the communications used by the Jeunes Patriotes in Cote d'Ivoire to coordinate the reported attacks? Haq had left questions about Haiti, Somalia and other hotspots unanswered before he left, setting an auto-responding e-mail to say he would not return until January 4. Where was Nesirky? 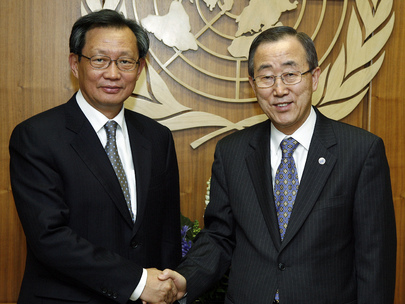 A close member of Ban Ki-moon's team meanwhile wrote to wish Merry Christmas. The questions were put to him to, to try to get some answers. So far, none. And so it goes in Ban's UN. 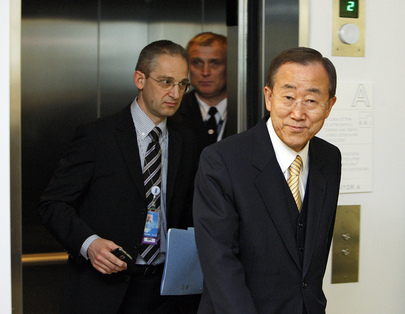 Footnote: while it is often argued, not least by South Korea's Mission to the UN, that Ban Ki-moon works hard, the unprofessional lack of response and accountability by his two lead spokesman speaks volumes. Watch this site.